Happy Food Star Friday my fine foodie friends! I was really excited about this recipe because, well, as of late I am obsessed with soups and this one sounded sooooo good. Potato soup is a true comfort food to me. Mind you the potato soup I ate as a child was Campbell’s soup, but my Mom made it for me, so in my childhood memories it was a comfort food. When I grew up, I lived in a tiny little trailer in a small town just outside of Reno, NV. It is one of those places that has weather extremes. Over 100 degrees in the summer at times, and snow in the winter. So when winter hit Mom would crank the heater and break out the Campbell’s soups. Cream of Potato, Cream of Mushroom, and Creamy Tomato all bring back vivid memories of my childhood and are true comfort foods for me. Poor Kevin just doesn’t understand my fondness for soups. He just keeps wondering why I seem to be determined to make a vegetarian out of him! That is why I chose this Emeril Lagasse recipe. Now I will warn you, since it is Food Star Friday I did not change the recipe from the original. I mean that is the idea, do the star’s recipes and then review them right? OK, this recipe is great and the soup tastes amazing. However, if I had been making it just for my family I would have changed a few things to try and “healthify” it a bit. I would substitute a tablespoon of olive oil for the two tablespoons of butter and use half and half instead of heavy cream. Doesn’t change it too much but I feel it makes it a bit better. Plus, as a person that has had gastric bypass, very heavily creamed food can make me feel a bit sick and this one, although it tasted AMAZING, made me feel a bit woozy. I know those minor changes would have made all of the difference. Using a sharp knife, halve the white part of the leek lengthwise and rinse well under cold running water to rid the leek of any sand. Slice thinly crosswise and set aside. In a large soup pot over medium heat, melt the butter and add the bacon. Cook for 5 to 6 minutes, stirring occasionally, until the bacon is very soft and has rendered most of its fat. 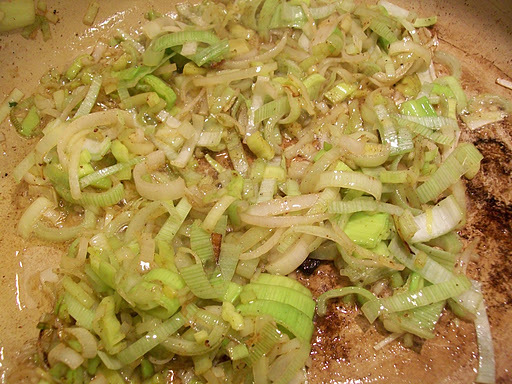 Add the chopped leeks and cook until wilted, about 5 minutes. Add the wine and bring to a boil. Add the reserved bouquet garni,chicken stock, potatoes, salt and white pepper, and bring to a boil. 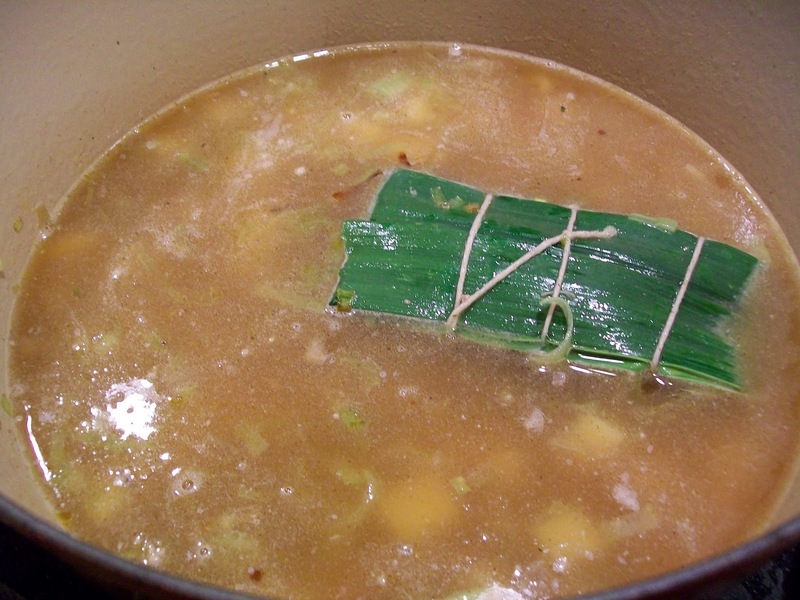 Reduce the heat to a simmer and cook for 30 minutes, or until the potatoes are falling apart and the soup is very flavorful. 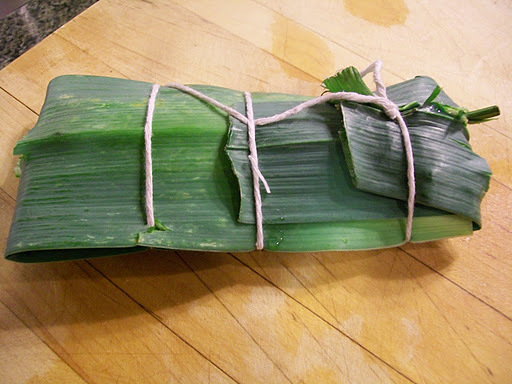 Remove the bouquet garni and, working in batches, puree the soup in a food processor or blender. 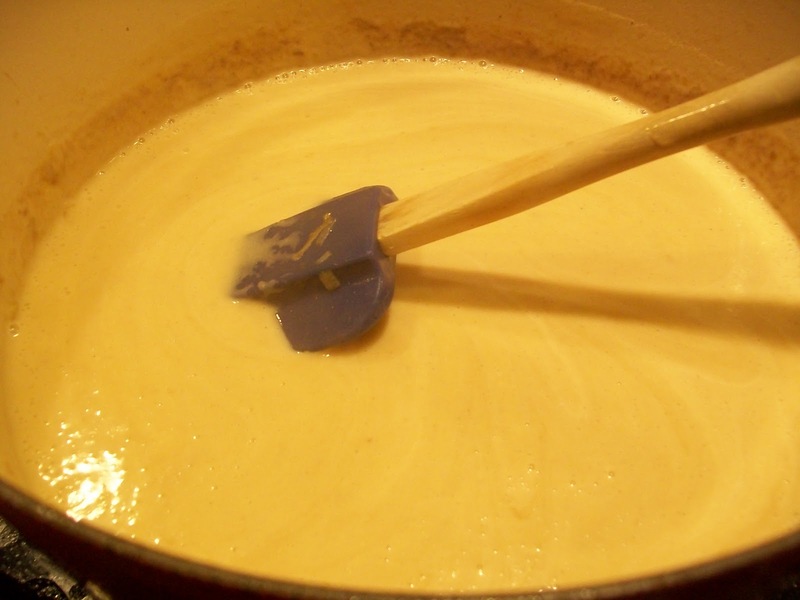 (Alternately, if you own an immersion blender, puree the soup directly in the pot.) Stir in the creme fraiche and adjust the seasoning, if necessary. 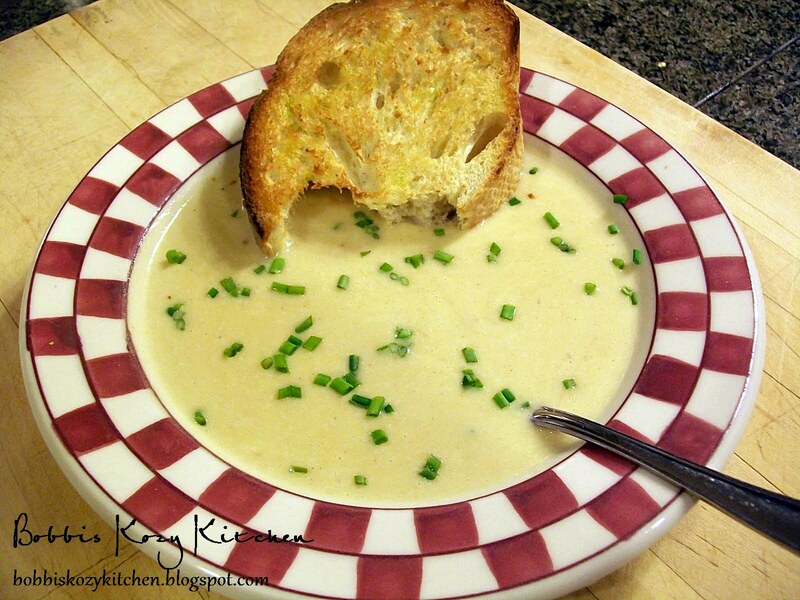 Serve immediately, with some of the snipped chives sprinkled over the top of each bowl of soup.